Industry supporters of DRM refer to it as "digital rights management" as if they are the ultimate authority to grant us our rights, as if they are the ones who should have complete and total control over how we use and interact with our media. What they are really doing is managing the restrictions they impose on our media and devices that we would normally have control over in the absence of DRM. We should own our media, not be at the mercy of media companies. For that reason, we refer to it as "Digital Restrictions Management". What is Digital Restrictions Management? Digital Restrictions Management is technology that controls what you can do with the digital media and devices you own. When a program doesn't let you share a song, read an ebook on another device, or play a single-player game without an internet connection, you are being restricted by DRM. In other words, DRM creates a damaged good. It prevents you from doing what would normally be possible if it wasn't there, and this is creating a dangerous situation for freedom, privacy and censorship. So why do people want to legally remove DRM? 1. I bought a season of Doctor Who on iTunes. I paid money for it, it's mine. But I can't burn it or put it on anything that isn't an Apple device! This is, at best, annoying. At worst, I feel hustled by Apple. 2. 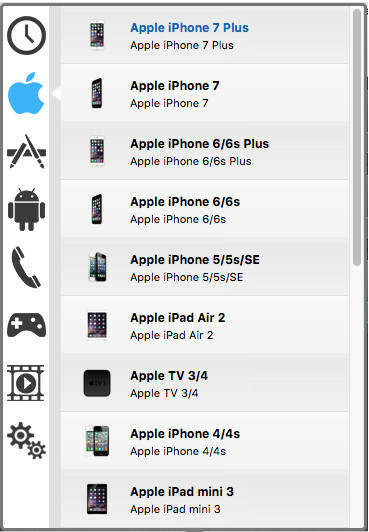 It seems that Apple don't like us to use other devices to enjoy the media contents that we have ordered on iTunes Store. It is unacceptable. I won't buy an iPad but just to take my purchases with me. 3. I was told that if I want to view my iTunes purchased movies on HD TV, I also need an Apple TV. Actually, I have already got a HD media player - WD TV. Thanks to the DRM, I can't transfer the iTunes movies to WD TV for playing unless I waste my money to buy a second media player. 2) I have a beautiful 1080p set, which my MacBook Pro connects to via VGA (it only has a VGA hookup in the back, no HDMI or anything). The DRM of HD iTunes movies will not allow them to play over VGA which really, really, really pisses me off. ...stripping away the DRM allows me to play them on my TV as I would expect to be able to right from the get go. 5. I've purchased a number of videos through iTunes so that I'd have something to watch on my iPhone while traveling. I'd like to be able to watch those videos on other devices I own but I can't because of the DRM. This will let me remove the DRM so that I can legally watch movies I bought and paid for on other devices that I legally own. 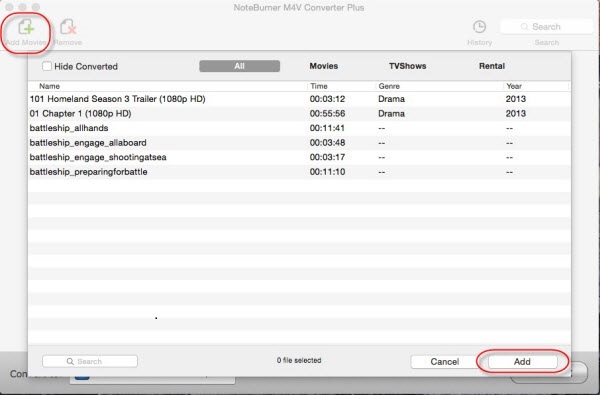 NoteBurner M4V Converter Plus (For Mac & For Windows) is the best DRM iTunes M4V Video Converter for both Windows & Mac users, which can help them to remove the DRM protection from iTunes M4V rentals and purchases to MP4, MOV, AVI, FLV etc formats for playing on TV, game consoles, Android phones/tablets, HD media players and other portable devices. It also means you can keep rentals forever easily! 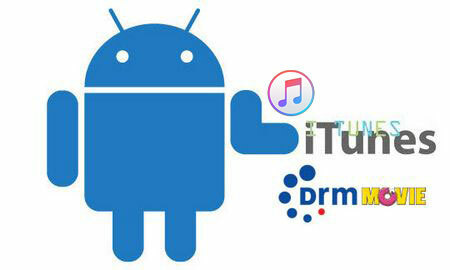 Download NoteBurner iTunes DRM M4V Video Converter now! How to Legally Remove DRM with NoteBurner M4V Converter Plus? 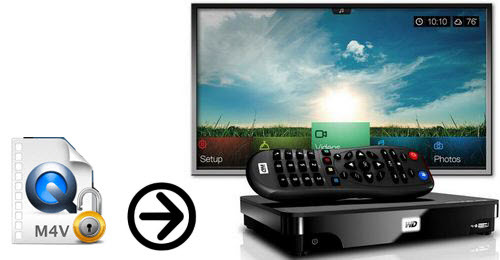 When finish customization, click on the Convert button at the bottom to start the conversion. There will pop up a window for you to choose output location. Check Open folder when conversion completed and click Start to start the video conversion. Then you just need to wait till the conversion completed. That's it. 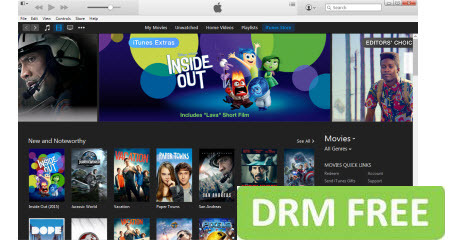 With simple 3 steps, you get DRM-free iTunes movies and TV shows now and your rentals have no time limitation!